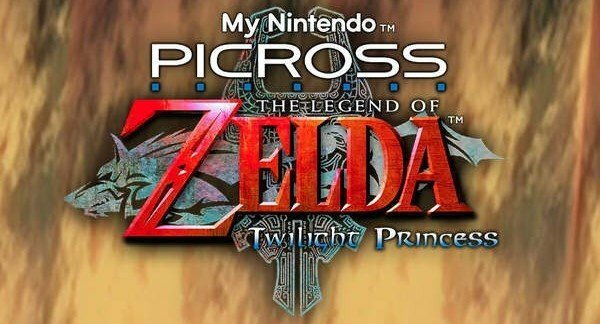 The My Nintendo rewards programme has both fans and critics, but one of the better offerings has been My Nintendo Picross: The Legend of Zelda: Twilight Princess. One out of ten in terms of having a snappy name, but we were full of praise and gave it 8/10 in our review, as there's a lot of puzzle goodness included for your 1000 Platinum Points. Like all rewards on My Nintendo it did have an expiry date that would see it drop off the programme. Now, however, it's been confirmed that it'll be available "for an indefinite time as a My Nintendo exclusive reward". You don't need to rush if you want to pick this up, then - is it still on your My Nintendo wishlist? With thanks to Laertes for the heads up. Nice. I really like this game, so it's really good to hear that it's available for more people to get. Even if you're not a Zelda fan, this is still one entry you shouldn't miss; if you're new to Picross entirely, this is a nice entry to start on, even if it does get challenging quickly. I think they've likely done this because... there's no replacement free games coming. Yay! I've be working on finishing Pokemon Picross before I get this, so now I don't have to worry about it disappearing. I don't own a 3DS. The My Nintendo rewards are more heavily weighted towards 3DS owner. "The My Nintendo rewards programme has both fans..."
What? My Nintendo rewards has fans? Who? Who likes this new system? Offers basically no free games, quickly expiring points, mostly just coupons for digital purchases. I've yet to turn coins in for things. I know they are going to expire, but I don't care cause there's nothing worth spending coins on. I liked this game. Hopefully they make another Zelda-themed one. I'm sure it doesn't take a lot of Nintendo's resources to make these. How's about making the Four Swords Anniversary game available indefinitely? I got it already, but I bet a lot of people would like a 2nd chance to get it. .......there's going to be no new exclusive next month is there? Makes sense, "yes let's make a game and only have it out for a limited time! "...would of been dumb, and also would of been neat if they kept Warioware on there, and Flipnote, maybe even throw in 4 Swords DSi and Donkey Kong original edition. Its digital. Its free. Yes, why ever remove it. Hopefully they will bring more free games. I wish they had something else like this. I want to use my points before they expire. I got that, the warioware game, and all the themes available but I still have 1500 silver points. @DarthNocturnal: I'm pretty sure Four Swords Anniversary Ed. was up for grabs twice, but a third chance wouldn't hurt either. It was my first Picross game, I really enjoyed it. Should've picked up WarioWare Touched first then as I'm really struggling to spend points. @XCWarrior "The My Nintendo rewards programme has both fans..."
I think by "both fans" he meant "two fans", as in Kimishima and Miyamoto. Cutting grass in a Zelda game has never been more satisfying! This game got me into Picross. It made me buy Picross DS and 3D, and some of the Picross e series. Waiting for Round 2. Anyway, I wish they bring back Warioware Touched! I held on my points and now I have some points expiring on my 5th account. The real news here is that My Nintendo apparently has fans. I want it but I don't think I've gotten the hang of how you earn coins in My Nintendo. Less timed availability, huh? We're growing up, Nintendo! A bit surprised they didn't do this sooner, would be nice if we got some previous Club Nintendo exclusive games as rewards in the future like Doc Louis's Punch-Out!! and Donkey Kong: Original Edition whether they'd cost a bunch of Platinum Coins or some Gold Coins. I accidentally thought that this game was also accidentally 'preloaded'. That's good to hear actually. I was torn on whether or not I should redeem the game with my coins but now that it is available indefinitely I will just pick it up when I feel like it. 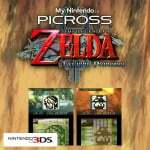 Twilight Princess is one of my favorite Zelda games but I have never played a Picross game before and I think getting one for free would be the perfect way to try one out. I'm not loving My Nintendo at all. I have 2400 platinum points with nothing to spend them on. I wish they had made it more like Club Nintendo, with both physical and free games to spend your coins on. @DarthNocturnal You got that right! I need people to play it with! Good to hear. I only purchased 3 Nintendo games this year and they were all physical copies... it's going to take me a long time to get those points so I'm glad I'll be able to get it at some point now. @XCWarrior Came here to say just about the same thing. About the only thing the My Nintendo service has succeeded in doing is make me miss the disfunction of the old program. I understand that it is all gravy for purchasing things, but the lack of effort is amazing (unless you love Miitomo, then it barely passes). This is kinda disappointing. I got Zelda Picross and really enjoyed it. I highly recommend it. The disappointing part is, I thought when it would be removed from My Nintendo, a different game would take its place. Now that this won't ever expire, they probably won't have another game like this available on my Nintendo, and this will just stay the only unique My Nintendo offer. Next, Nintendo should re-release the Four Swords Anniversary Edition (it was a free download after all) then put GBA titles on the New 3DS. If anything, put them up as My Nintendo Rewards. @DefHalan I think Nintendo will have more My Nintendo exclusives in the future. They may sacrifice some gold point rewards like games and discounts to make room. Being a fan of Picross ever since it was released on the GameBoy, I have to say that compared to all of the recent 3DS Picross games, the Zelda one is the worst. It just doesn't compare to the other ones. Having said that, it's a great entry level version and I'm glad to see that it's introducing people to the wonderful world of Picross. @DefHalan Only time will tell. What kind of rewards would you like to see Nintendo offer? Guess there goes any chance of them putting up something new come October 1st. I mean, there's no sense locking things off like this for forever or anything like Nintendo is stupidly fond of doing, but anyone who's wanted this has had the chance to get it multiple times over by now and I'm presently sitting on 1,100 points with nothing to do with them even after having gotten both this and WarioWare. Yeah that's great, now can you just ADD MORE REWARDS! I have over 2000 Miitomo points and over 500 gold ones and I want downloadable games, not those crappy costumes you have the option to get. @Tyranexx Four Swords AE was available on My Nintendo!?!?!?! This is really good. I really dislike entire games only being available for a limited time. Now, if we could get Legend of Zelda 4 Swords again, then I'd be very happy. @burninmylight: No, but that wouldn't be a bad idea to make it available through My Nintendo. It has been available to download for free off of the eshop/DSiWare store a couple of times. wow!! this is great news! It's not that hard to get points, you just have to be patient. And this game is by far the best thing on My Nintendo. For those who love puzzles, after you solve 2 or 3 of them you'll quickly become addicted. @Utena-mobile Any tips to offer? I tried the one Pokemon one but it just wasn't clicking. Do they have different difficulties? I think the Zelda one is more fun. Mostly because there's no energy limitations, or rules like you have to set pokemon. There are no bonuses or anything it's just the puzzles, with no time limitations. So they're a lot of fun and much less stressful than the pokemon ones. 2) work on the rows with large numbers first. If the number is large enough you can count the blocks from the left and then the right (or top and then bottom) and find out that no matter where those large numbers fit on the row, there are some squares that are always filled. Fill those and work from there. Loved the game, and hope they make a whole series of them based on different games/franchises. @Utena-mobile Ok Thanks! I love puzzles but the Pokemon one was hard because I felt like after the 1st one no easy ones where given I defiantly will pick this up now. Thanks for the tips. Dang. If they would have said this earlier, I would have used my points for something else other than trying to save up enough in time to get it. The time limit definitely made me work harder to get the coins. I probably would never have got round to it otherwise. Nice to see everyone gets the chance to own it now, it's a great wee game. I saved up for this and I bought it right away and saved up for WarioWare. Decided I didn't want it that much and decided to wait for what was free the next month. Got nothing new whatsoever and this makes it seem like we would never get anything new. What do I do with my -honestly- 3000 Platinum points at this point? I have not logged into My Nintendo in months. It's not worth the time. @Everyone: Anybody with no use for their platinum coins willing to drop me a code for this game? I only had 300 coins, and used them on 2 themes for my 3DS. I'd greatly appreciate it! After getting my copy I haven't returned to My Nintendo nor Miitomo. @XCWarrior I don't say the current system is perfect... But the previous reward system was worse. @Thegentleman Electroplankton can be bought on the eShop... but I guess DSiwares would be a nice change. This would bring some attention to the older downloadable games. But 3DS has a restricted memory for DSiware so I think the chances of that happening are low. Visit Nintendo.co.uk and then My.Nintendo.com weekly and log into eshop and Miiverse. You'll get 120 coins a week that way. In seven weeks you'll have enough points and it'll only take you five minutes each week. If you can't wait that long you can earn extra points from Miitomo. You can get 35pts a day with the help of a friend, ideally two but if not you can still get 10pts a day. who cares, what about adding something new? !